Scott Papay is a Sales Manager of Building Automation at LONG Building Technologies. Scott is responsible for leading all sales efforts for the controls business unit at LONG headquarters. He has a bachelor’s degree in Mechanical Engineering from the University of Colorado and served in the United States Navy as an Engineering Watch Supervisor before moving on to management positions at Bailco Service Corporation, Johnson Controls, Tiernam & Patrylo and Trane. He has been with LONG since 2009 and is LEED AP-NC, FE and Six Sigma Black Belt certified. In his free time, Scott enjoys CrossFit, spending time with his family and outdoor activities including hiking, camping, hunting and golfing. Scott Cochrane of Cochrane Supply & Engineering has the unique benefit of working with 300+ of the best systems integrators in the country. Cochrane recognizes the critical role they have within the building automation industry and is speaking with a different highly-regarded MSI each month with the goal of providing examples of industry trends, best business practices, and the growing value of an MSI. 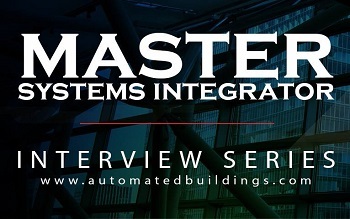 This month, he interviews Scott Papay, Sales Manager, Building Automation at LONG Building Technologies. Papay: LONG did not set out to become a Master Systems Integrator. It happened as customers continued to present us with their need for innovative solutions to new problems that arose as technology advanced and many controls products remain proprietary. Our customers desired to accomplish two goals. The first goal was to have a unified Operator Interface across the many vendor product lines and systems, thus allowing greater accessibility and operation efficiency between these proprietary platforms and their operators. Secondly, they wanted to remain in a contractually advantageous position allowing multiple vendors to compete for projects, rather than putting themselves into a sole-sourced position. LONG’s customer commitment meant providing optimized whole-building solutions that fit our customers’ needs. Papay: Primarily, the ability to integrate products from various manufacturers, systems, product lines, and protocols both past and present. Secondarily, understanding the value of a dedicated Operational Technology Network (OTN) infrastructure and how to implement one effectively. A dedicated OTN has to have enough fidelity to meet the demands of interconnecting disparate systems while standard enough to meet IT compliance requirements. Additionally, differentiating between what is of value to the user and what is not is paramount. What’s important for a hotelier is often far different than the perspective of a university Director of Facilities. Just because we can pull in 170 data points from a packaged RTU or elevator, doesn’t mean we should. Understanding our customer’s business and how they intend on using the system on a daily, weekly, and seasonal basis helps us separate the wheat from the chaff and maximize the user experience. Finally, loyalty and commitment to the customer. Papay: It starts with establishing a trusted advisor / partner status with our customers. We typically don’t set out to sell MSI agreements. The position of trust we build with customers takes years of demonstrated knowledge and performance from preconstruction, design consulting, construction to warranty, then through ongoing service support. We then often find ourselves in the position of customers wanting more of the value LONG brings. Yet they are constrained by purchasing requirements which preclude them from sole-sourcing. Establishing an MSI with our customers is a joint effort with our customers. We may mention, offer or suggest an MSI as a potential solution to their challenges. However, development of an advantageous RFP and scope of work is a collaborative effort. Papay: Typically, through a collaboratively developed RFP or through a large quantity of already installed products that can be supported by LONG versus a competitor. This usually puts LONG in an advantageous position to offer MSI services to handle their secondary and tertiary vendors. Papay: The biggest challenge we face on a regular basis is integrating legacy proprietary products that are beyond their product support life-cycle. This is coupled with challenges of garnering occasional support from integrators that see us as a competitor unseating their hold on the customer. I have often reminded them there is no quicker way to anger a customer than to hold them hostage and disregard their requests for support. In addition to that, we educate our technical employees on the latest in network topology best practices to support the OTN and for working closely with end-user IT departments. The demands our industry places on front-line technical folks are rigorous. They have to understand programming, networking, HVAC systems, electrical systems, and the contracting process; inclusive of service and troubleshooting each of these areas. We continuously invest in training. Papay: I certainly see LONG growing in our respective markets as an MSI. As systems become more integrated and complex, customers are demanding a simple, efficient, unified operator workstation. A window into their building operations. 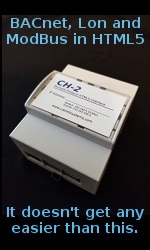 One that will allow them to access and control different systems from life safety and HVAC to access-control, lighting and others. Long gone are the days when proprietary standalone systems with unique, clunky interfaces are tolerated. When a customer using their mobile phone can control everything in their house (IoT), secure banking, unlock their car, make video calls, voice-to-text, listen to music and search the web, they expect their intelligent, expensive building systems to be able to do the same. LONG, as an MSI, supports and enables this goal where no individual siloed SI possibly could.